as soon as the web slave gets around to it. stuff will be slow and late, but it will happen. because the rich AmerAC and Access Fund "leaders" have long been known to be in the Park Service pocket. and will have no excuse. They supported the periodic increases, on record. More on the climbing tax increase, ah, soon. Climbers climbing Denali and Rainier next year are "A Disgrace to Mountain Climbing History". The new 5 foot long photo in the HQ. About it on the Museum page. fearing the route ahead and scared spittless about having to go back down what you just survived in the storm. and calm. Ah, but if the storm continues, and you get low on food, you will have a great story to tell. mountains. John Waterman's CPO shirt walked into the museum. way into books of plastic covers. And a few things like that. The Alaskan Alpine Club is creating a museum and archives. members live around the world, this opportunity is open to anyone. old stuff will be convenient for your Alaska climbing adventure. offspring can reclaim it if you or they wish. Spread the word. And you are always welcome at the Alaskan Alpine Club headquarters. Then get some new climbing stuff, and go climbing. Club pins. Photo on right. Available for donations of $5 or more. processes. 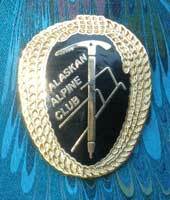 There are Alaskan Alpine Club members around the world, who enjoy being members. in a dangerous environment. The activity does not damage any other humans or the environment. and self-serving taxation imposed by government folks. 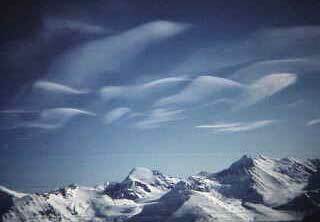 The Alaskan Alpine Club is of genuine climbers. lie to the public about climbers, and then based climbing regulations on the claim that climbers are irresponsible. with fines, and thus incite defiance, by the human mind's designed reaction against threats and the use of force. about the environmentalists taking over all the American mountaineering organizations, except the Alaskan Alpine Club. who support anti-climber regulations, in the name of environmentalism, and in trappings of climbers. the pitiably dishonest government folks, and their unquestioning supporters. We have fun, and laugh a lot. question the corruption of their own power. use the controlling knowledge for your life. Your choice. You will always reveal your thinking ability. dependent, for the fun that offers the knowledge. mistakes attempting to dictate your life with the force of mob rule (government), their "laws" and police guns. Humor them. They are intellectually uncurable. They will believe their superiority above humans the rest of their pitiable lives. of fellow climbers who may ascribe to that reasoning if it represents their own. There we were, mind you, and it was desperate indeed, albeit as usual. It was in the dark of night, in the dead of winter, in the heart of the Alaska Range, lost somewhere on the glacier amid gaping crevasses, the mountains towered above, and the storm raged. Exposed flesh freezes in seconds, you know. And if you are reading this, you aint no mountain climber. The only real mountain climber is climbing right now, by definition. Anyone else may have been a climber, and may want to be a climber, but is not a climber right now because he is not climbing right now. Well, do you accurately use words, and thus mean what you say? Meaning what you say is a valuable skill in the mountains, and all other places. Now that we do not have to deal with the inflated ego of those sorts who think they are mountain climbers, we can chit-chat about the Alaskan Alpine Club, Alaska mountain climbing, and laugh ourselves to tears over the antics of these humans. You can learn that lesson from the mountains. The mountains always deal with what is, rather than what people say. Do the same and you will do well, if you know what questions to ask to distinguish between what is said and what is. Interested in climbing in Alaska? Buy or download a topographical map of where you want to climb, go there, climb, and have entirely too much fun. Need any of the standard mountaineering information that people think they need?  Check out all the standard web sites, books, clubs, stores and such places for standard climbing stuff. Want some non-standard stuff about mountain climbing? Imagine that. You have stumbled onto the right site. That is what this club and Alaska are about. But there are only words and visual illusions at this web site, so the wiser person will hit the off-switch, grab the topo map, and head out the door. The hardest part of every climb, is getting out of town. Nothing on this web site or any other web site can assist you in actual climbing, the act of putting one foot in front of and above the other, and hanging on, until you get to the summit. But this web site might give your mind what no climbing organization leaders and government drones want you to have, some knowledge also offered by the mountains, that is, how to be free. Herein is just knowledge, if you sufficiently question what you read, with real questions, and answer your questions. The extent of the fun you will have in the mountains, where you may otherwise be miserable, working hard and in danger, is predicated on the extent of the questions you prior ask of your actions, and your answers. Otherwise stated: The knowledge your mind seeks and finds. And from a mountain climbing club, did you want the rhetorical garbage that ego-craving, control-mentality club officers tell you, usually telling you that you have to do what the government dolts tell you to do, and ask no serious questions, or did you want the knowledge of concepts you learned from your own mind's questions and answers which need no organization leaders or their petty corrupting power? Notice the questions that organization and government leaders flee instead of answer. Ask those questions until you recognize the answers that prevail against all questions, to discover that organization and government leaders serve only themselves, at your cost. You do not need them. If you are a mountain climber, you need only the mountains and your freedom. You may do as you consider logical, as wisely done in the mountains, and you will define yourself. The club web page slave. Links Way cool other websites, of course.